A coffee made from the right dose of Arabica coffee from Brazil, Guatemala and Costa Rica and washed Robusta coffee from India. 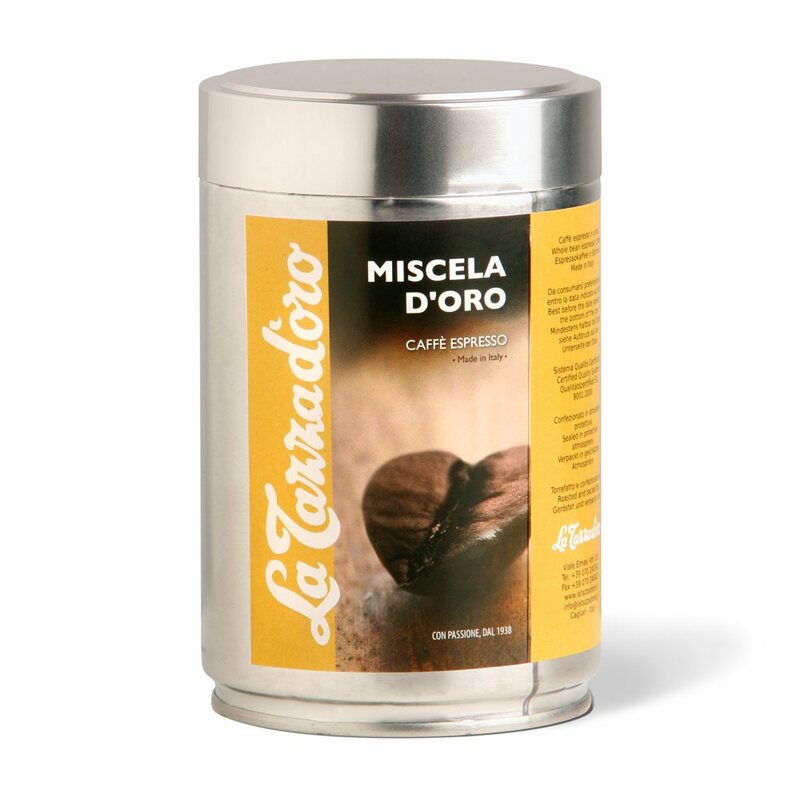 La Tazza d'oro Miscela d’oro is a full-body, aromatic coffee that's ideal for real enthusiasts who can't live without the traditional classic taste of Italian espresso. It's highly regarded in Italian coffee shops as a balanced versatile cup that can satisfy all palates, at all times. An espresso with a soft well-balanced taste that blends with a pan-toasted taste. Perfect harmony between aroma and body, perceptible from the first sip. Our slow toasting gives the blend a well-defined sweetness and, at the same time, a slight acidity. Ready to grind, grains come in packs of 1 kg and 250 grams. Excellent quality, because all the grains are carefully selected by our experts to meet the specific physical criteria and the right taste profiles. Drink it pure to really savor its unique taste.